Features :Din Sized enclosuer for panel mounting. Digital dual display for set value and process val..
Function : On Delay With Instant ContactSpecification :Input Voltage : 85-270V AC/DCOutput : 1 C/O i.. 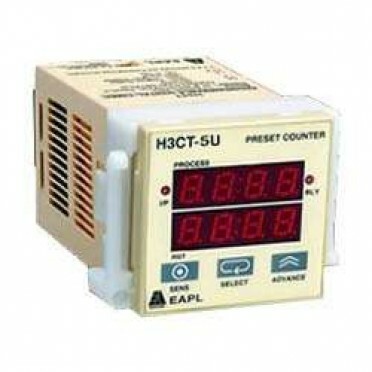 Features : Modes : On Delay,IntervalCounting : DownTime Range : 9.99 Sec,99.9 Sec,999 Sec,99.9..